Love applications that you can use with multiple clients? What about applications that you can upload your own images? You're in luck because Mneemo! fits into both of these categories! 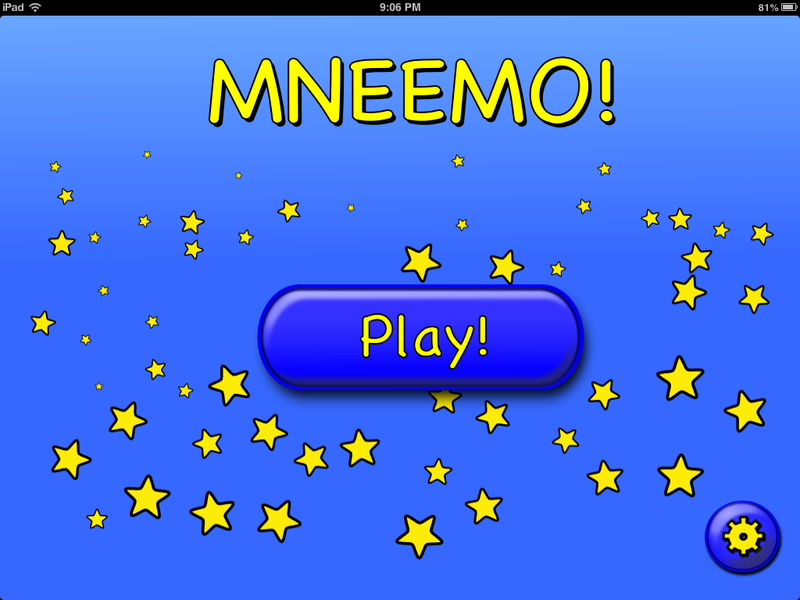 Created by a speech-language pathologist and her husband, Mneemo! 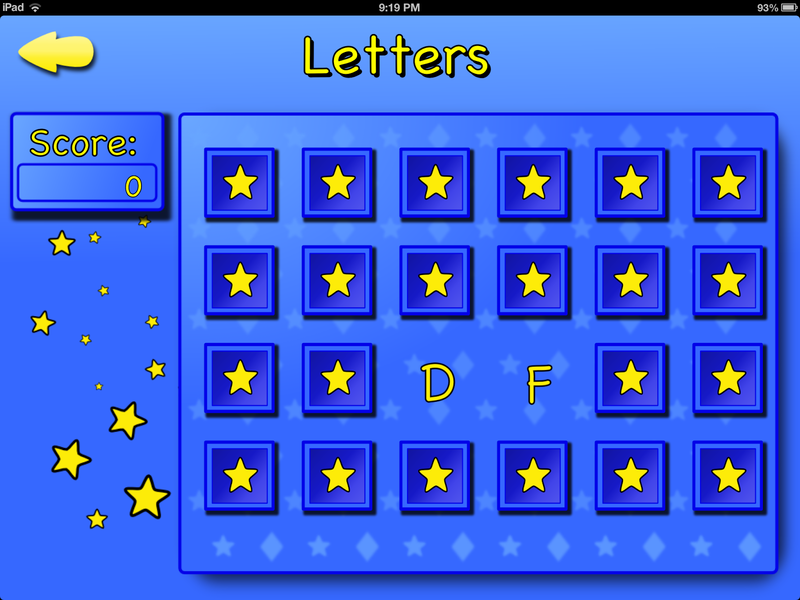 allows you to customize your own memory game! To learn more about how you can use this application with your clients, as well as have the opportunity to win a copy of this great memory application, continue reading! The Main Page of Mneemo! is in the stars with a "Play" button in the middle and a gear button to edit galleries in the lower left hand corner. 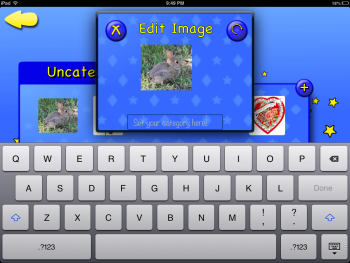 The application comes pre-installed with four galleries of images to use for matching - Letters, Numbers, Animals, and Shapes. Choose a gallery to begin application play. 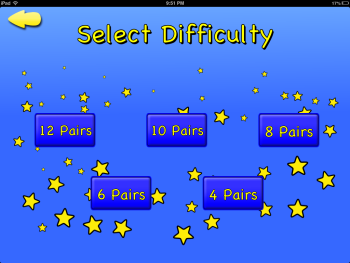 Then, a screen will appear to select the difficulty of the game via number of pairs. You can have from four up to twelve pairs in play. If a gallery does not hold enough images, then those options will be "x"ed out. Press which number of pairs you would like and a grid will appear. The backs of the cards will show as stars and flip over upon being pressed. This game is a memory game where if you flip two cards over and they match in image, the pair disappears. However, if they do not match, the pair wiggles, plays a sound, and flips back over. When a pair is matched, a sound will play as they disappear and a point value will show (10 if it is on the first try; 5 if it is on a later move). The score will appear on the left hand side of the page. Once all items have been matched, a screen will appear with the total score and the ability to restart or finish the game. You can create your own galleries of images to be used on cards by pressing the gear on the Main Page. Then, press the "+" button to add an image from your camera roll. It will be in the "Uncategorized" folder until you type in the category list to either create your first category list/gallery or add to a current one. Make sure to type the text exactly the same as previously typed if you want it in the same gallery as other images. You can delete or rotate an image, or change its gallery, by pressing on the image itself. To scroll through image galleries/folders, press the arrows on the right hand side of the page. All images in a gallery will show as if they were in a file folder with the title on the tab. The application allows for use with students who have different goals. 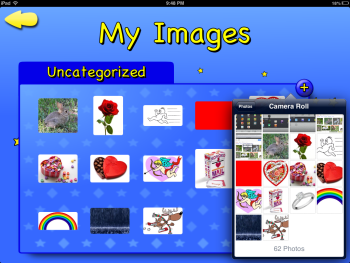 You can add pretty much any category of images you want to use for a memory game! Loading images into the application is easy! You can adjust the level of difficulty by choosing between 4-12 pairs of cards. I would love to have the option to turn off or change the sounds of the application. It would be great if images from the internet could be chosen and uploaded within the application instead of having to save everything from the internet into the photo library and then choose images for the application. Instead of having to type in previously created categories of images for galleries each time a photo is uploaded, it would be great to either add within the selected gallery or have a drop down menu to select a previously created or new category. Adding the ability to record audio to the images could definitely help with vocabulary acquisition and auditory awareness/processing. It would be great if the images were a bit larger or would stay on the screen longer for the students to be able to identify them. Having the ability to keep data within the application would be great as it is advertised as being developed by a speech-language pathologist. I would love it if more categories/images were preloaded and would understand if the price increased due to that. 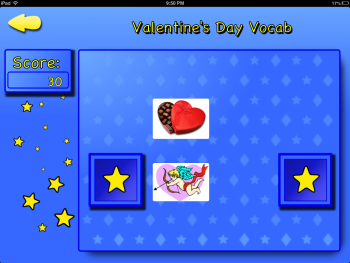 Vocabulary - Add images of items in a given category to focus on related concepts/vocabulary. Have clients identify/name given images, state their definition, or describe items. 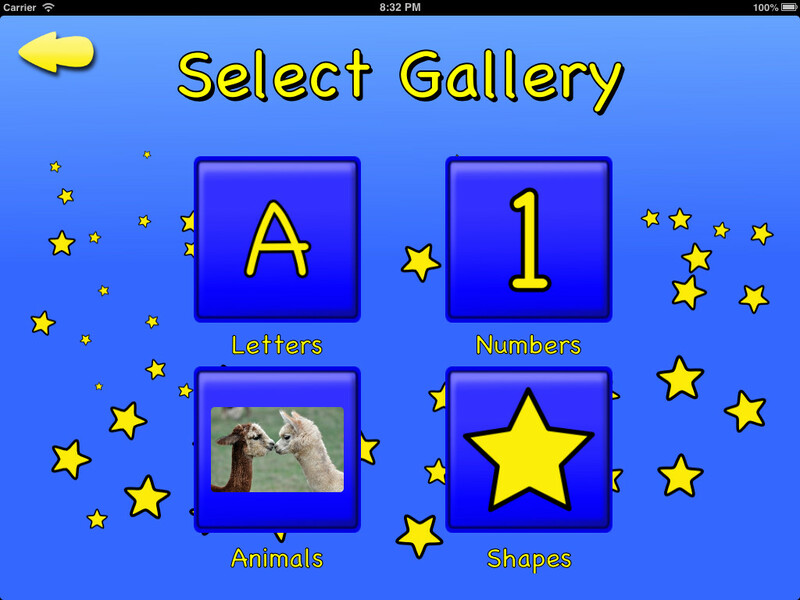 The categories of letters, numbers, animals, and shapes are already pre-installed. 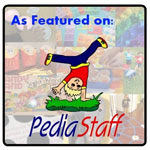 You can even upload images related to a theme, book, or holiday. Memory - This application is a memory game and can be used with clients who are working on memory skills to recall which squares match. You can upload images of people whom the client interacts with and items in which are used on a daily basis to help the client recall people and everyday items. Articulation - Upload images of words that contain the same sound into a gallery. Have students state the words or place the words in a sentence each time one is flipped over. Grammar - Upload images of verbs, plural nouns, pronouns, prepositions, etc. for clients to match and state aloud. 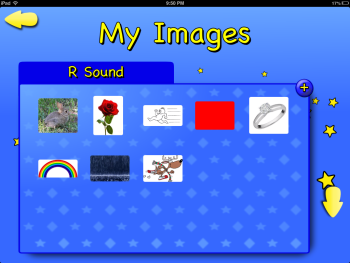 You could even have a gallery for parts of speech for clients to identify the part of speech in which the image fits. Emotions - Upload images of people portraying different emotions for the clients to match and identify. Mneemo! 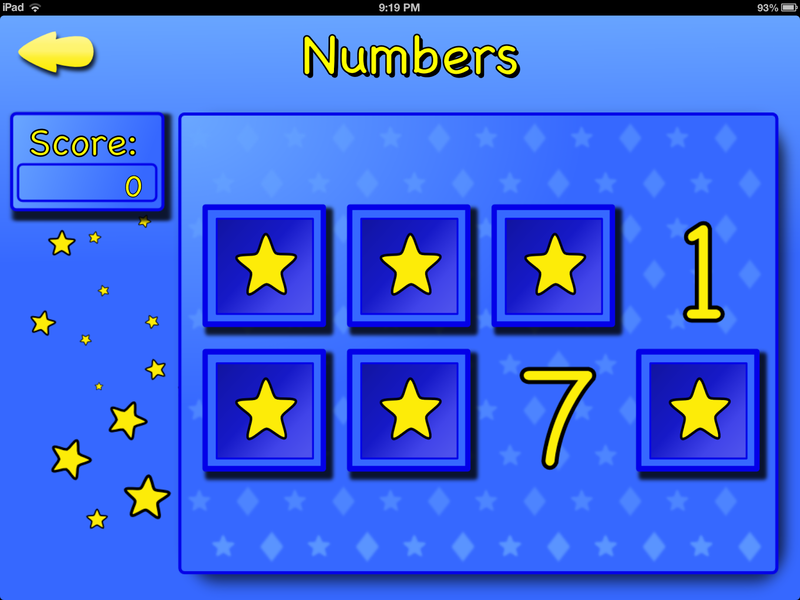 is available for the iPad for the reasonable price of $0.99! 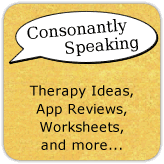 Consonantly Speaking was given a copy of this application to review and three copies to give away. No other form of compensation was given. Enter the giveaway via the Rafflecopter below for your chance to win one of three copies of Mneemo! to use with your clients!